Below is a list of club activities members of NOS enjoy. With the exception of the Book Club, these activities require a paid NOS membership to participate. Many require advance reservations. NOS recommends early reservations as space can be limited. Some clubs take a hiatus during the summer months. 2nd Thursday at 2:00 p.m. This club meets monthly at the Suntree/Viera Public Library for group discussion. Please call Sue Kaplan for more information. Bookmarks listing the reading assignments are also available at the library any time. Contact Sue for more information. NOS invites you to join us for breakfast. The Breakfast Club meets a different restaurants each month. This club is for both men and ladies. Restaurant locations will be published each month and advance reservations are strictly required! Contact Laurie for information and reservations. NOS offers daytime bridge for individuals. Each group of eight players meets once a month. Members each take a turn hosting. For more information about these groups call Judith or Janet. Bunco luncheons are open to all NOS members, but reservations are a must. Join us at the Suntree Country Club for lunch and an afternoon of Bunco. This is a no-brainer activity and lots of fun. Bunco luncheons are scheduled on the 2nd Friday of the month. For reservations or information, please call Merilee Riopelle. The Neighbors of Suntree Cocktail Mixer meets at various locations on the 2nd Wednesday evening of each month. Drink Specials galore! Couples and singles welcome! ​​Reservations are required! Members must contact Teresa to reserve a spot. Members of this group meet in various homes each month to enjoy refreshments and listen to interesting speakers arranged by Patti Coggins. Reservations are required! Early reservations are recommended, as space can sometimes be limited. Please call Patti to reserve your spot at the next meeting. 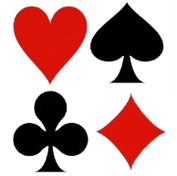 NOS has four groups playing Hand & Foot. This card game is similar to Canasta. These groups play on either the 1st Friday, 2nd Wednesday, 3rd Friday, or 4th Wednesday of each month. Nancy, Laura, and Norma are looking for players who can sub in these groups. Contact Nancy if you would like to learn how to play and or wish to start a new group. This group enjoys having lunch at a different restaurant each month. Restaurant locations will be published each month. ​​Advance reservations are strictly required. Call Claire for information and reservations. Mah-jongg is an anchient Chinese game played with special tiles. NOS Mah-jongg groups meet regularly (weekly, bi-weekly, or monthly) as decided by its members. Mary Ann Caputo will act as a match-maker of Mah-jongg players. Call Mary Ann if you would like to find a group or be added to the substitute list. A class taught by experienced players can also be arranged for those interested in learning the game. Pampered Palates is a social dining group which meets monthly in the homes of its members. For information and sign-up, call Linda. NOS offers an evening Bridge group for partners/couples. This group meets on the 2nd Monday each month. Members take turns hosting the group in their homes. For more information contact Laurie.